Moving plants out of the greenhouse to our back deck has kept us busy this week. 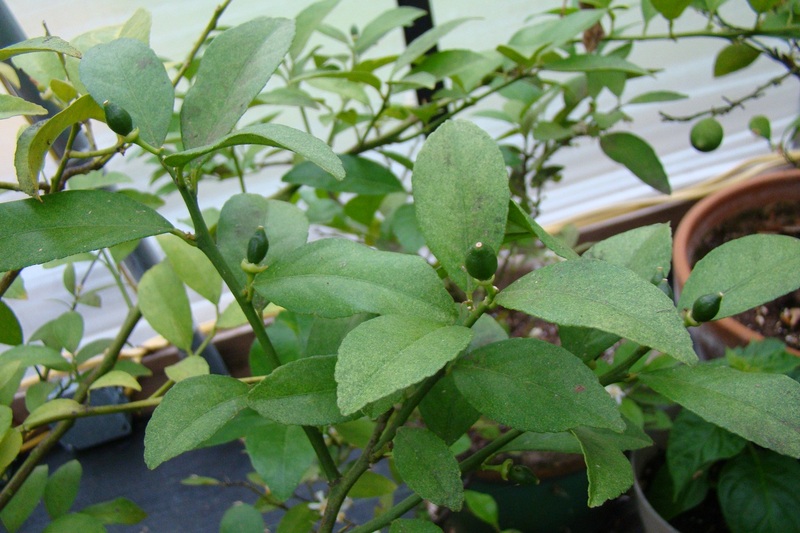 Here are some baby Persian limes that should find their way into a margarita this summer. I could use one right now. We tried moving a pregnant sheep from one pasture to the other today and she got loose. It took us 45 minutes of chasing her through the woods and up and down the driveway until we finally were able to catch her and put her where she needs to be. I’m pretty sure Jenna was laughing her tail off at us! I think I need to come up for a visit…….and bring my video camera. That would have been a good one!